Since it's launch in 2005, YouTube is the third most visited website on the internet and by far the most popular video hosting platform. With approximately 300 hours of video being uploaded every minute, YouTube has already changed the way a whole generation of people consume video content, making the long-reigning monarch of entertainment - the television - obsolete and unnecessary. Our free FV Player works very well with YouTube and posting videos directly from the site is very easy. If you want to have access to more advanced functions, like fully customizable skin with your own branding, integration of whole playlists and more, you'll want to go with our FV Player Pro. If you don't have a license yet, you can purchase one right now. And here is the video (Toronto Vacation Travel Guide by Expedia). 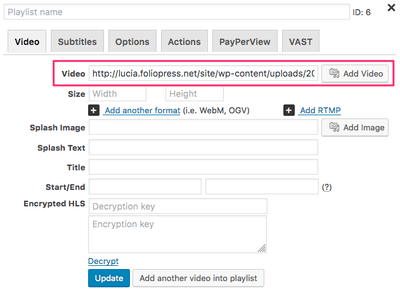 Same as for Vimeo videos, FV Player automatically parses the video caption from the title of the video on YouTube, if you don't set it manually. If you don't want the player to do this, you can turn it off in Settings > FV Player Pro > Hosting tab > YouTube (Pro) and check the box Disable video titles. You can also change the automatically loaded splash image, for any other image you want. Just open the shortcode editor for the video you want to edit and upload or select an existing image. This will overwrite the automatic one. 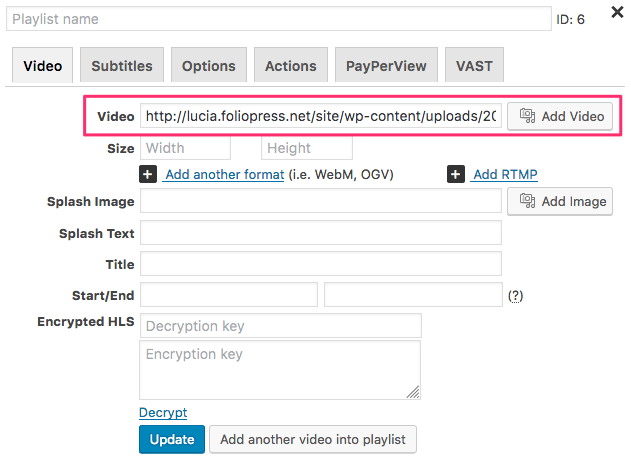 You can use your own subtitles in VTT format with your YouTube video (you can check demos in here and see how to use them in the guide How to Create Subtitles), or you can let FV Player load the subtitles from the YouTube video directly if they're available. This feature is completely automatic and doesn't require any further settings. For example, this YouTube video features subtitles in multiple languages, that are all loaded and can be selected the same way as manually uploaded subtitles. You can see how it works in the demo below. Note: Automatic loading of subtitles doesn't work with YouTube's auto-generated subtitles. These can however be quickly converted to a VTT file, check this article on how to do that - The Ups and Downs of Using YouTube’s Auto-captions. If you are just adding a few individual YouTube videos, you do not need to do this. Just add manual splash screens (which are usually more relevant than automated splash screens) for those few YouTube videos you are showing. 1. To do this, go to Settings > FV Player Pro > Hosting > YouTube (Pro) and fill in your Google Developer Key. If you don't know where to get it, follow our simple guide below. 2. 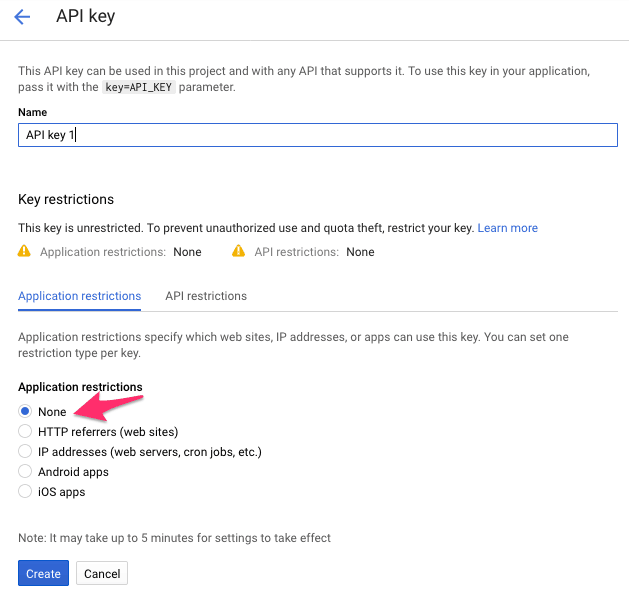 Click this Google Developers Console link. Login, then click on Create Project in the top menu. 3. You're starting a new project, so name it and optionally change the ID. Confirm by clicking Create. 4. Make sure YouTube Data API for the project is enabled. 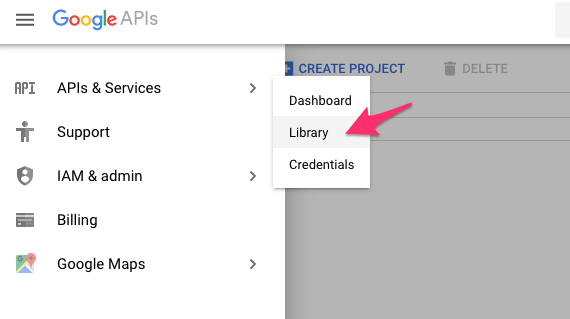 To enable the API, you have to choose the project and then select API's & Services in the left toolbar. 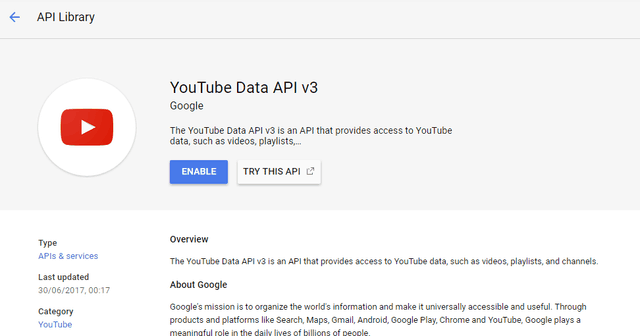 Then go to Library in the left menu, and select YouTube Data API v3. Then click on the Enable button. 7. You'll get a message like this one that says you need to create credentials first. Therefore, click on the Create credentials button on the right. 8. 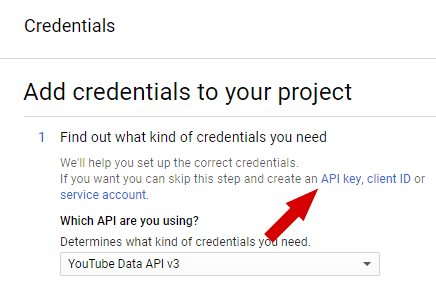 You can skip the first step called Add credentials to your project and go directly to creating an API key by clicking on the API key link. 9. 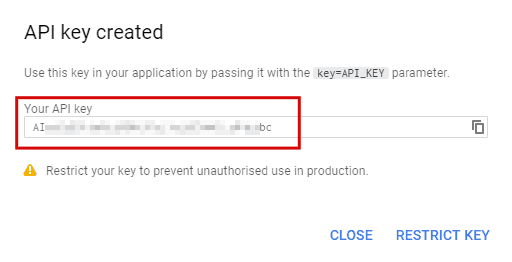 Now name your API key and leave the Key Restriction as unrestricted (the None option). 10. After clicking on the Create button, you will be able to see the actual key. You can now paste it into FV Player's settings (step 1.). 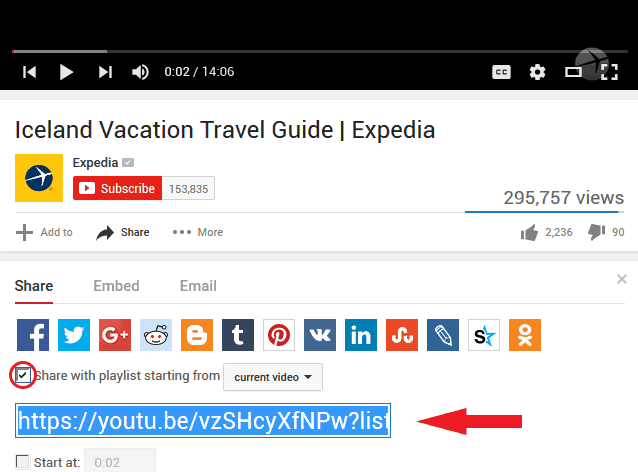 Second possible way is to open a single video from a playlist and then use the Share function of YouTube. Here you'll have the option to choose whether the playlist should start with the current video, or begin at the start. The box Share with playlist starting from should of course be checked. Then just copy the generated link into FV Player. Indirectly opening a YouTube video (for example by opening a playlist item) on mobile will require an additional tap to start the video playback. This is also due to some of the YouTube API restrictions. can I insert a preroll on a youtube video?